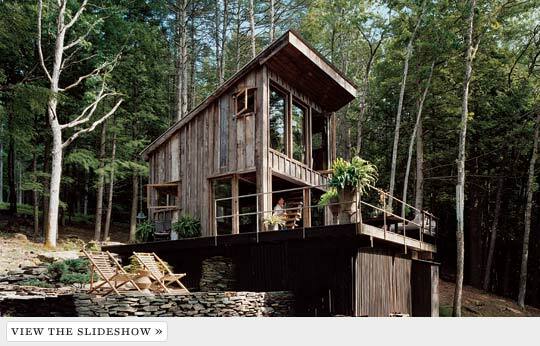 This sunny, simple, off-grid cabin located in upstate New York exemplifies the sort of structures we’re seeing built these days throughout Howe Sound. Because so many of the properties feature two building sites, many settlers choose to begin their multi-year projects with a smallish cabin that is relatively easy to build, and that allows them to immediately start enjoying their property while they plan/build their dream home. Or, as is the case here, maybe this is the dream house, and no large structure is planned.